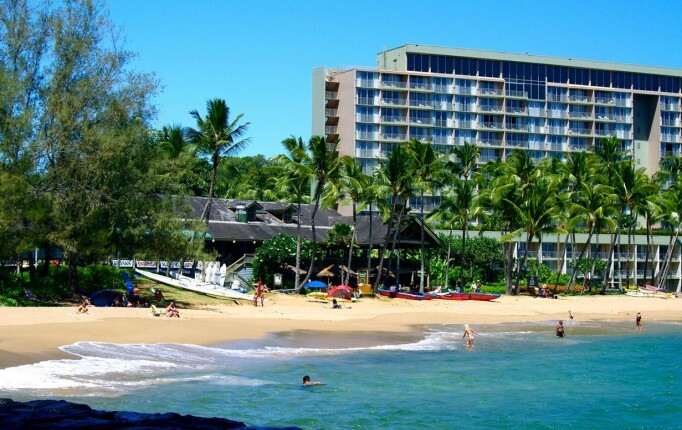 A tropical paradise, Hawaii is home to a profusion plant and tree species both endemic and brought in by explorers and early settlers. The islands' isolation, tropical climate and rich volcanic soil helped create an ecosystem that nurtured unique plants and trees, some of which seemingly thrived so well and even made a name for themselves. 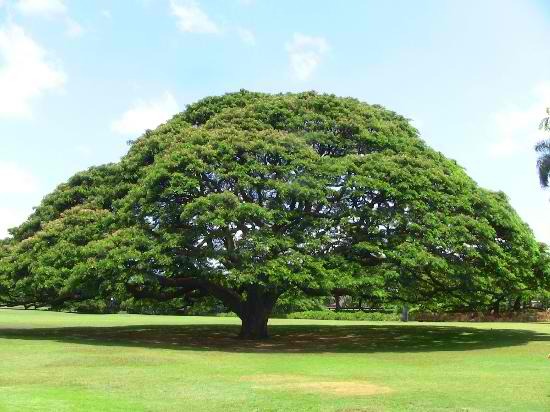 Here are some of Hawaii's most popular trees. 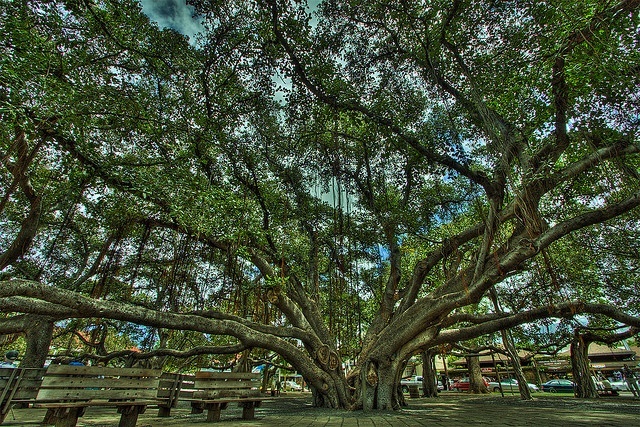 This Banyan Tree at the Lahaina Courthouse Square in Lahaina, Hawaii, is one of the largest Indian Banyan in the world. A gift from Indian missionaries, the 8-feet seedling was planted in 1873 by sheriff William Owen Smith, in commemoration of the 50th anniversary of the first American Protestant mission in Lahaina. Today, the Banyan Tree stands over 60 feet high with a massive canopy that covers two thirds of an acre or a whole block. 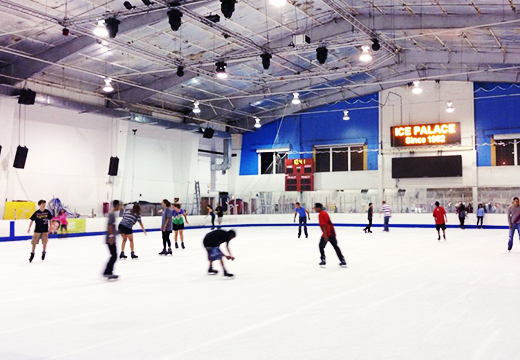 It has become a popular venue for art exhibits, performances, and other events. 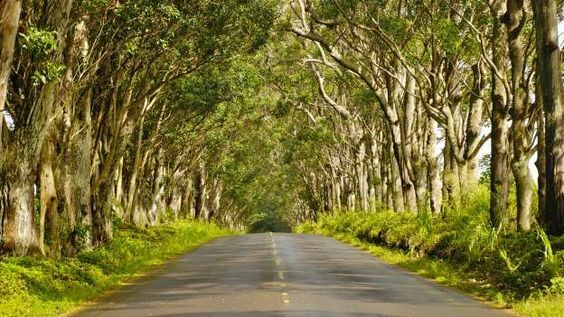 A series of 500 eucalyptus trees that line both sides of Maluhia Road (Highway 520) creates a natural canopied gateway to Kauai’s South Shore. Planted by Pineapple Baron Walter McBryde in 1911 as a gift to the community, the trees grew to form the iconic natural tunnel. In 1992, Huricane Iniki, dubbed as the most powerful hurricane to strike Hawaii in recorded history, stripped the trees down to bare branches but have since recovered and now boast of full lush canopies again. This majestic century-old monkeypod tree is the centerpiece of Moanalua Gardens Park in Honolulu. More popularly known as the Hitachi Tree, after Japanese electronics manufacturer, Hitachi Ltd. used it as its corporate symbol in 1973, the tree is believed to be more than 130 years old. The company is said to be paying the park a handsome annual fee for promotional rights. 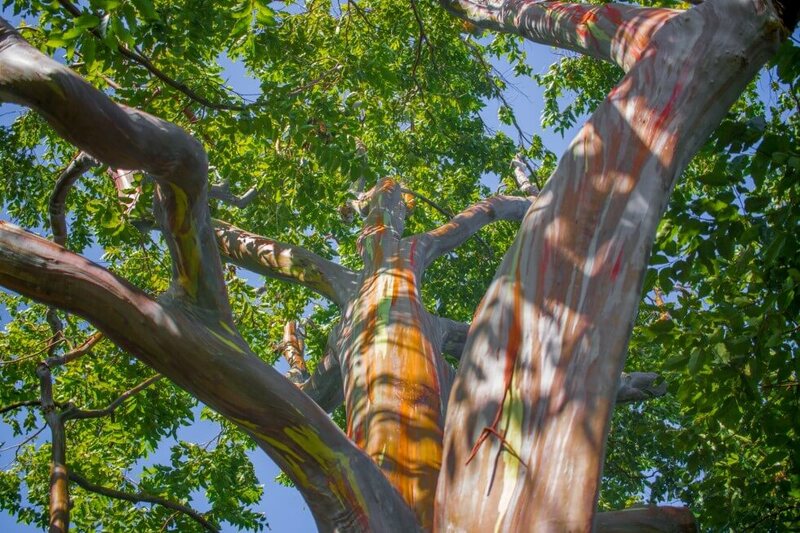 Eucalyptus deglupta, or Rainbow Tree, is known for its colorful trunk brought about by the shedding of the bark at different times, revealing the bright-green inner bark which then darkens and matures to give blue, purple, orange and then maroon tones. A native to Philippines that has been introduced to Hawaii, this Eucalyptus species was believed to have been first planted in the islands in 1929 as part of its reforestation efforts. The most well known grove of rainbow eucalyptus on Maui is located near mile marker 7 along the Hana Highway but these beautiful trees are scattered at several other locations including Ke’anae Arboretum and spots just before Hana town.